BATON ROUGE, LA – All Pro Integrated Systems designed and installed a Danley sound reinforcement system at 28,500-capacity A.W. Mumford Stadium at Southern University in Baton Rouge, LA. It includes one Danley J6-42 Jericho Horn, two Danley J3-64 Jericho Horns, two Danley OS80 loudspeakers and a pair of Danley BC218 subwoofers. 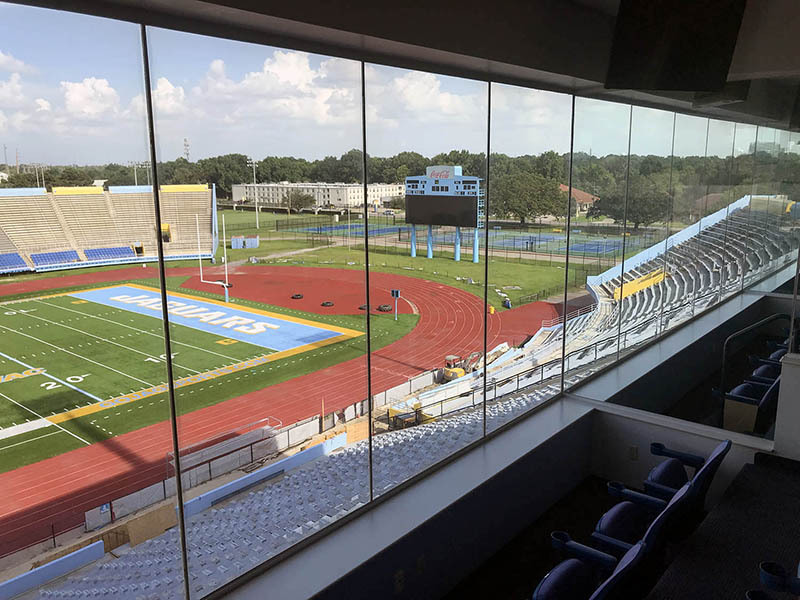 Although the 6,500-plus students at Southern University are big supporters of their SWAC NCAA Division I Jaguars football team, the much larger 28,500-seat capacity of A.W. Mumford Stadium reveals the team’s huge fan base of alumni and residents in Baton Rouge, LA. Indeed, since it was first constructed in 1928, the stadium’s capacity has grown steadily and has always outpaced growth in enrollment. A.W. 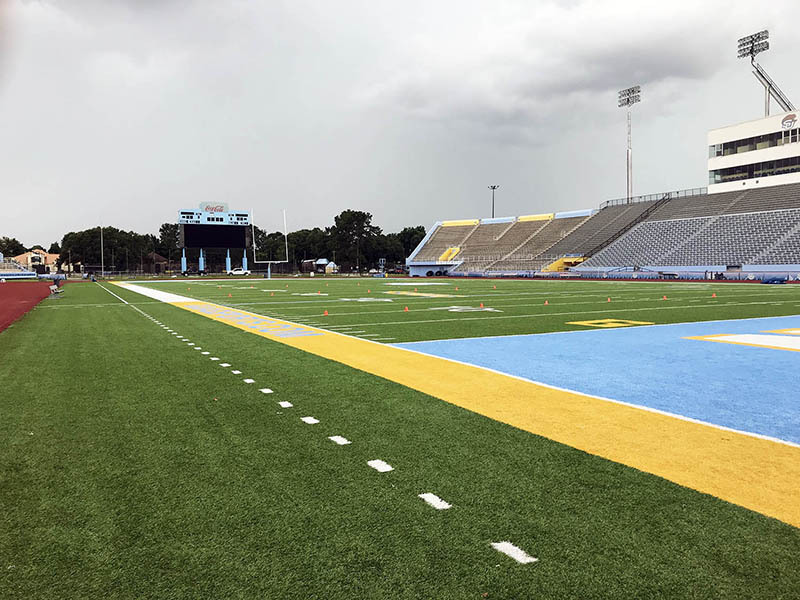 Mumford Stadium also hosts home games for the Southern University women’s soccer team and the Laboratory School Kittens football teams. After water and lightning damage crippled its relatively new sound system, area representatives Anderson Sales and Marketing conducted a Danley demonstration at a home game. After that, Southern was committed to getting a Danley sound system. Recently, Pensacola, Florida-based All Pro Integrated Systems designed and installed a permanent Danley sound reinforcement system at A.W. Mumford Stadium.